We understand your business is your livelihood. You have to protect your assets. Statewide Roof Repair specializes in commercial roofing. Most commercial structures have flat roofs in whole or in part of their structure. Flat roofs have evolved in the way they provide moisture protection to the structure below. They also can be constructed to provide and enhance heating and cooling of the structure below. EPDM systems incorporate membranes that are comprised of ethylene and propylene which adds to the waterproof protection. Some commercial buildings utilize metal roofing. Metal roofs can be made with stainless steel, aluminum, or copper materials. Tar and gravel systems are also used for commercial roofing. 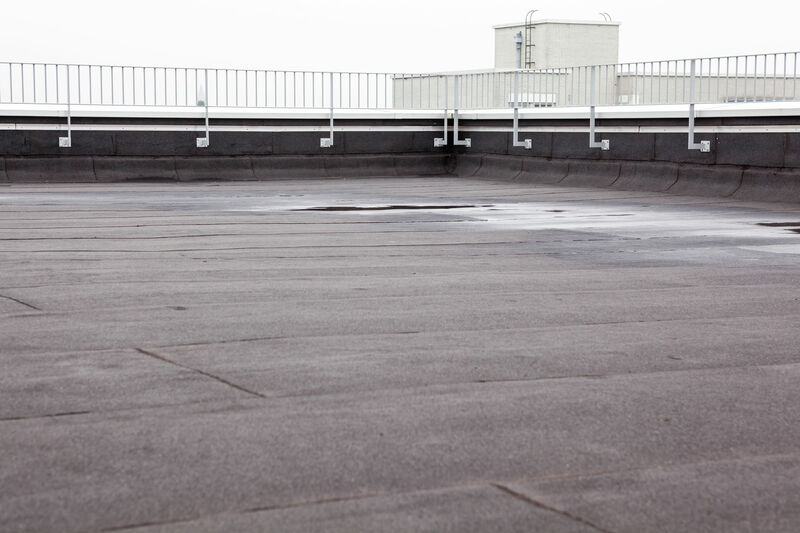 Improper Drainage: Many commercial buildings have flat roofing. It is difficult for a flat surface without the proper grading to channel water away from a structure after it rains, snows, or after a storm. If water is allowed to pool, this can result in leaks and faster deterioration of the roof surface. Improper drainage is also the culprit for many emergency roofing problems. Improperly Installed Flashing: Sunroofs, chimneys, and HVAC systems in commercial structures all have the potential to allow water intrusion if they are not installed with the proper flashing. The flashing makes a seamless bond between the roof and all the other planned components of your roof to keep your roof waterproof. Membrane Shrinkage: Shrinkage of sections of your roof is possible if cheap or inferior roofing materials are used to construct your flat roof. Membrane Blow-Off: Membrane separation is possible with improper installation of your flat roof. This can result in visible bubbling of your roofing surface or sections of your flat roof coming apart. Commercial HVAC Systems: HVAC systems are very heavy. The size and weight of these units take a toll on a flat roof. They also require a lot of maintenance. This means there will be more foot traffic to keep these units running, which also leads to more wear and tear of the flat roof surface. One of the most overlooked aspects of every business is the building that protects that business. The structure that is used to conduct your day to day transactions provides protection for you and your customers on a daily basis. That same building conveys your level of professionalism to potential customers and business associates. 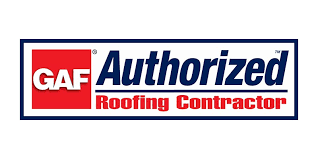 The roof provides curb appeal and furthur reinforces the integrity of your business. According to Business Insider, upon first interaction; an opinion is formed in 7 seconds. You only get one chance to make a good impression and nothing stands out on a building like a neglected roof. Your commercial roofing system is the most important part of your structure. Most businesses get caught up in the inertia that comes from conducting business and the yearly roof maintenance usually gets overlooked. Most building owners don't get around to implementing a proper maintenance program for their roof until a roof replacement is neede. The roof covering of your business or corporation should be viewed as an asset and not an expense. There are many different types of commercial roofing. The most common commercial roof systems are TPO Roofing, EPDM Roofing, Modified Bitumen, Vegetative Roofing (Green Roofs), Metal Roofing, and Asphalt Roofing. These are used for flat roofing systems. We will discuss these in greater detail. The use of Single Ply Roofing has skyrocketed in the world of commercial roofing. Single ply roofing boasts longevity and durability. 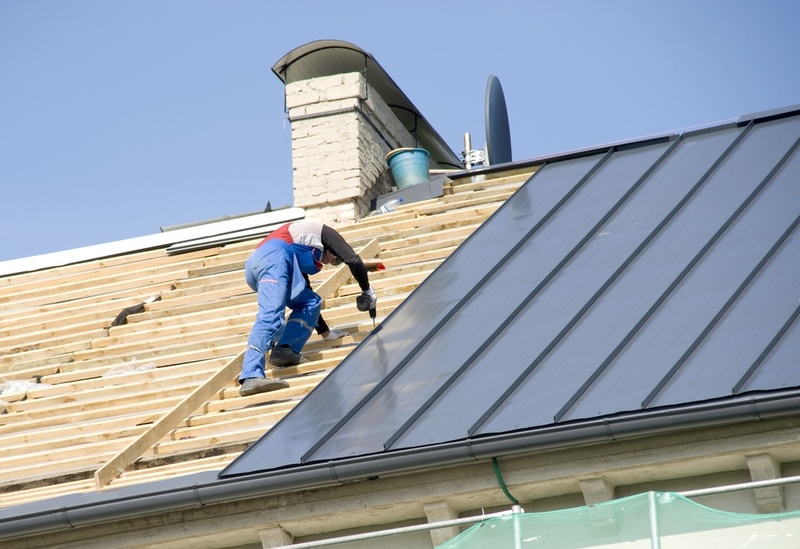 Due to its economical upside and technology, these roofing materials are seeing tremendous growth. These materials are lightweight, flexible, and easier to install. They can be applied to almost any commercial roof style. They have two main classifications. They are called thermoplastics and thermosets. TPO and PVC Roofing are considered thermoplastic roofing membranes. Thermosets are formulated using polymers. The most common roofing polymer in used is EPDM. Single Ply Roofing can be mechanically installed when feesible. It can also be fully adhered with the use of adhesives. The finished product comes out smooth and colored adhesive can be used to match with the buildings overall appearance. We will discuss these in furthur detail below. TPO stands for thermoplastic polyolefin. TPO Roofing has been shown in recent publications to be the market leader in both new construction and re-roofing projects. TPO is the roofing industry leader due to its price and energy efficiency qualities. It is a single ply roofing system that is usually found on flat roofs. It is also approved by LEED and Energy Star. This building material is able to be installed in accordance to most roof designs. Roofing contractors like TPO because it contains a roofing membrane that is easily welded and creates a very strong bond. Before you decide which products you will use in your roofing project, it is very important to read over the technical info such as the warranty information. Most flat roofs can last 25 years if properly maintained by a professional. TPO is cost efficient. TPO is a less expensive option as opposed to using PVC, but PVC is a more flexible material. TPO is currently being used in 40% of new construction. TPO is compatible With buildings of different styles. TPO is available white, gray, and black. It is reflective which helps lower energy costs by helping keep the structure cooler. The roof membrane in TPO is UV resistant. TPO has many benefits. TPO is very durable. It can withstand the shifting or settling of the building over time. In areas where the climate has cold winters and hot summers, the roof will go through expansion and contraction. TPO is an excellent roofing material to use in these situations. TPO has very good wind uplift resistance. When surveyed, most contractors say they recommend TPO because it is lightweight and easy to weld. It also has less seams to work with. EPDM is a thermoset. EPDM stands for ethylene propylene diene terpolymer. EPDM is a proven roofing material that has been around for over 40 years. EPDM is a roofing solution that consists of rubber. It is used frequently for low slope roofing. It currently holds the number 2 spot for roofing materials used in new construction behind TPO. EPDM is usually found in white or black. It is also durable, flexible, and UV resistant like TPO. EPDM is generally known for its ability to maintain its longevity despite sunlight and being exposed to chemicals commonly found on roofs. This roofing material can also be mechanically attached. EPDM is only to be used in commercial applications. On larger commercial projects, ballasted EPDM can be used. They can come in ply sheets measuring 50 feet x 200 feet. Fully adhered EPDM can come in sheets measuring 30 feet x 100 feet. Due to technological advances, this version of EPDM is quickly becoming the roofing material of choice for low and high slope commercial roofing. EPDM has received a Class A rating from Underwriters Laboratories. Ease of installation is one of this roofing materials high qualities, because EPDM can be installed mechanically or installed fully adhered. EPDM is very durable. EPDM is known for its wind uplift resistance. Another flat roofing material option is Modified Bitumen. Modified Bitumen is a commercial roofing product that is applied using asphalt. It will usually be labeled as APP Modified Bitumen or SBS Modified Bitumen. It is the number 3 option in new construction for roofing materials. We will discuss the advantages this material has over other membrane systems. Bitumen can be considered an adhered roofing system. One advantage is it can be applied with adhesive sheets. Another advantage is bitumen is seemless which helps it to stay watertight over time. This material is very strong against storms and usually carries good warranties. Bitumen comes in black which can be a conductor of heat, which can make it harder to keep the structure below cool. Modified Bitumen membranes are usually installed in 2 or 3 ply. It can be mopped on with hot asphalt or heat welded. Bitumen roofing and waterproofing systems are easily installed. Metal roofing systems have stood the test of time. It has been around for over a 100 years. Metal roofing is one of the more expensive low slope roofing options. It is very durable and wind resistant. A drawback of metal roofing is the seams are usually pressed together with a machine which leaves possibility for leaks in the future. An option to avoid this is to get metal roofing with a standing seam. When metal roofing requires repairs, contractors often opt to use acrylic coatings. These coatings will adhere to the metal roofing and provide rust protection and also keep the metal roofing water tight. Built Up Roofing is another roofing option that has been around for over 100 years. It is a hybrid roofing system consisting of asphalt and roofing felts. These two compounds go together to form the roofing membrane. They are applied in alternating layers of asphalt and roofing felts. It is applied in multiple layers to insure its longevity. The theory is if one layer fails, there are other layers present to keep the roof protected and secure. Built Up Roofing is also available with reflective surfaces to protect from the sun. Built Up Roofing is also available in 4 ply to insure additional waterproofing ability. Vegetative Roofing is also referred to as Green Roofing. They are aesthetically pleasing to the eye and they are constructed to reduce the strain on drainage systems. They provide an effective means to control the run-off every building accumulates from rain and storms. These green roofing systems are great for the environment, but don't usually last as long as the other commercial roofing products we discussed. PRESS HERE TO CALL NOW!